Its very nice and quiet. The people in the office are friendly. Lots of stores to get to walking and driving distance. The house is cozy. Maintenance does a great and prompt job. I an very happy and please with my home and how well the community is kept. They are very quick in responding to any issues that I am having or any questions that i have. So far so good,only been here for one week and so far its good,peaceful. I like the space and the community is clean. I even don't mind that there are a lot of children in the community because so far its still peaceful. The main office is really nice and friendly when I have to call or go in there. Rooms are spacious and there is a lot of natural light, and windows for fresh air! Everyone was very nice from the moment of my move in date. I love my place it is very cozy and just what we were looking for. My daughter really likes the playground that is right outside our back door. love living here. very comfortable and clean and quiet! i moves here about 6 months ago with my family and the space is lovely.. would recommended! The neighborhood is nice and everything is nice but there is a lot of mice. I have been struggling with them for a while and the main office has not even come to seal one hole that I have in one of my closets. Beautiful community and amazing place to raise a family as we do😊👍🏽✅! My family and I have been here a year and a half and we absolutely love it! It's been great so far! Very happy with our apartment and area. The leasing office also stayed open past hours to get out lease signed. So thankful for that! We just moving in this weekend but so far the neighbors seem friendly we love our new home. The kids are really exicted. They home is really cozy. The 3 bedroom townhomes are spacious! Having a balcony is exciting to me because i can set my telescope up! The neighborhood for the most part is quiet and that can be relaxing! So far I love it! The community is a great place to live. The staff are friendly and welcoming. Inside the townhomes the appliances are great. Some times you may hear a little noise from your neighbor but its not a constant thing. The staff at Dunfield are always very friendly and efficient. The community is well kept. The location is convenient to major highways, shopping centers, grocery stores and entertainment. I love the Dunfield Community. It’s been great. Quiet, maintained is fast to fix something. The neighborhood has a lot of kids for mind to play with. Plenty of room in the house! So far it has been a wonderful experience. The rental office staff is very professional and courteous. Hoping for more wonderful years here. Unit not cleaned. Appliances not working. No one has done to address any issues reported at time of move in. Mail box I are very hard to open. Started off a bit rough but the staff made sure I was treated very well, made my family and I feel at home. Made sure anything I needed they made sure I had. Clearly section 8 vouchers are excepted now throughout the complex. When I first moved here I was as surrounded by descent neighbors. The community has since gone down in the past three years. However, the staff that has been there the longest are very friendly. 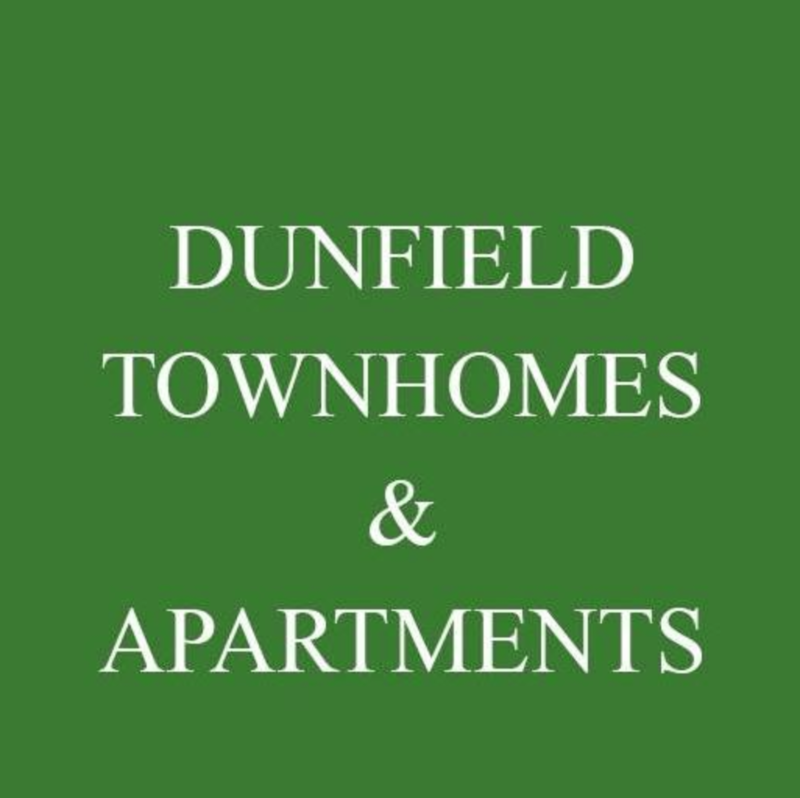 Dunfield townhomes is not just a house it’s a home.Very friendly people.The rental office lady’s always ready for anything you bring there way.